There’s just one webinar left in the AWRI webinar program for 2018. Coming up on Thursday, 6 December, Darren Ray from the Bureau of Meteorology will present the seasonal weather and climate outlook for the 2019 vintage. Don’t miss the chance to find out the predictions for vintage conditions in your region. Darren will also provide information on the latest weather information tools available to assist with decision-making. Register now! December is also a great time to catch up on any of the webinars you may have missed over the past three months. For example, recent presentations on downy mildew control and salinity are still very relevant for this time of the year. The full list of webinars presented in 2018 with links to the videos on YouTube is on the AWRI webinar page. Coming up after vintage in 2019 there will be a new series of webinars featuring common laboratory methods – stay tuned! Earlier in the year, AWRI Senior Engineer Dr Simon Nordestgaard gave a keynote presentation to the 2018 Australian Winery Engineering Association Conference entitled ‘Trends in wine production technology & future challenges’. In his presentation Simon provided statistics on the uptake in Australia of a range of winery technologies, based on the AWRI’s major survey of grape and wine industry practices. Some of the technologies covered included cross-flow filtration, ferment sensors, methods for juice clarification, cold stabilisation options, destemmers and sorting equipment. He also discussed some technologies that have not been adopted in Australia and possible reasons why. The slides from Simon’s presentation are now available from the Winery Engineering Association website. Slides from other presentations at the conference are also available – including from the cross-industry oxygen management forum, which featured AWRI Research Scientist Dr Martin Day’s research on oxygen use in winemaking. 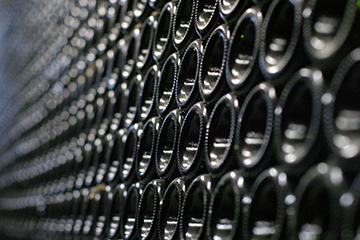 Understanding how packaged wine develops over time is an important aspect of wine science and adds context to a wide range of research underway at the AWRI. To gain further insights into wine development, a long-term project has been initiated to follow a range of Australian wines for 10+ years across successive vintages. This project will use these wines to help understand emerging trends in Australian wine production as well how they develop with time. The AWRI is looking for partner wine producers to supply the wine for this study on an ongoing basis.The commitment from producers would be to supply two cases of the latest vintage of the nominated wine on a yearly basis for at least the next 10 years. Each wine would be analysed post-bottling and at one, two, three, five, seven and ten-year time points for a wide range of chemical and microbiological markers. Each producer would receive a comprehensive analysis report at each time point and the anonymised overall results will be reported regularly as part of the project. The target is to have ten wines (five red and five white) to create this benchmark series. Ideally the wines will be single variety and from a relatively consistent source, allowing reasonable comparison from year to year. It is also hoped that the benchmark wines will be representative of typical commercial wines produced in Australia. Interested wine producers are invited to contact Dr Eric Wilkes (eric.wilkes@awri.com.au) for further information. Marcus Woods, Wine Supply Director at Pernod Ricard Winemakers, has been appointed as the newest member of the AWRI Board. Marcus fills a position vacated by Ben Bryant, who left Australia to take up a winemaking position in Canada earlier this year. Marcus holds a Bachelor of Applied Science in Viticulture and an MBA. He has more than 18 years of viticultural and operational management experience, working across Australia managing vineyards, wineries and distilleries. He has also taught Winery Business Management at the University of Adelaide. Congratulations are in order for several AWRI staff, following a busy wine industry awards season! Senior Research Scientist Dr Bob Dambergs recently accepted an invitation to become a fellow of the Australian Society of Viticulture and Oenology (ASVO) at this year’s ASVO Awards for Excellence. This honour recognises a long career in grape and wine science, with significant contributions in the practical application of spectroscopy. On the same night, Research Scientist Dr Tracey Siebert was recognised as one of the authors of the paper that won the inaugural Peter May award for most cited paper in the Australian Journal of Grape and Wine Research. The winning paper was Scarlett, N.J., Bramley, R.G.V., Siebert, T.E. Within-vineyard variation in the ‘pepper’ compound rotundone is spatially structured and related to variation in the land underlying the vineyard. Aust. J. Grape Wine Res.20(2): 214-222; 2014. 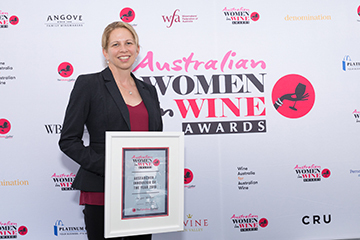 Then, just a few days later, Senior Research Scientist Dr Jacqui McRae was named the Researcher/Innovator of the Year for 2018 at the Australian Women in Wine Awards in Sydney. This award recognised Jacqui’s work in wine protein chemistry and the development of a new heat test for protein stability in wine. Congratulations to Bob, Tracey and Jacqui for their hard work and dedication to our industry. The AWRI featured in a recent National Geographic documentary Great Innovators: The Rise of Australian Wine. This documentary, which was shown globally, provides a good insight into some of the key developments in the rise of Australian wine since the 1950s. The video is available for viewing online. Poster abstract submissions are now open for the 17th Australian Wine Industry Conference, coming up in Adelaide on 21-24 July 2019. Posters are a popular part of the AWITC and are displayed throughout the conference. They provide an opportunity for researchers and students to report on ‘late-breaking’ work, for researchers to interact directly with delegates, and to show industry where research is heading. In addition, the abstracts submitted will be used to select presenters in the two Fresh Science sessions within the main conference program. 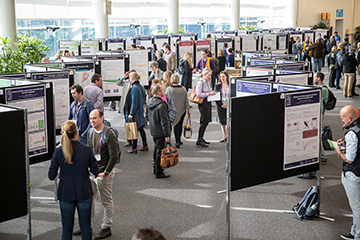 Poster abstracts can be submitted via the link on the AWITC website and are due by 12 April 2019. Conference registration will open in February 2019. To keep up with the latest AWITC news, sign up for the AWITC email mailing list. Earthquakes experienced in New Zealand over recent years have led to some important changes in the NZ wine industry, particularly in terms of tank design and anchoring systems as well as insurance. While earthquakes may not be top of mind for Australian producers, these developments may still be highly relevant to Australian wineries. Presentations on seismic tank design and anchoring and winery insurance were some of the highlights from the recent NZ Winery Engineering Association Conference in Napier, NZ. Slides from the conference are now available for download. Read the full-text of ‘AWRI reports’ published in Wine & Viticulture Journal (PDF format). 2031 Moran, M., Petrie, P., Sadras, V. Late pruning and elevated temperature impact on phenology, yield components and berry traits in Shiraz. Am. J. Enol. Vitic. DOI: 10.5344/ajev.2018.18031: 1-25; 2018. 2032 Mierczynska-Vasilev, A., Mierczynski, P., Maniukiwicz, W., Visalakshan, R.M., Vasilev, K., Smith, P.A. Magnetic separation technology: Functional group efficiency in the removal of haze-forming proteins from wines. Food Chem. 275: 154-160; 2018. 2033 Chen, L., Capone, D.L., Jeffery, D.W. Identification and quantitative analysis of 2-methyl-4-propyl-1,3-oxathiane in wine. J. Agric. Food Chem. 66 (41): 10808-10815; 2018. 2034 Mierczynski, P., Mierczynska, A., Ciesielski, R., Maniukiewicz, W., Rogowski, J., Maniecki, T.P., Dubkov, S., Sysa, A., Gromov, D., Szynkowska, M.I., Vasilev, K. Modern Ni and Pd-Ni catalysts supported on Sn-Al binary oxide for oxy-steam reforming of methanol. Energy Technol.6 (9): 1687-1699; 2018. 2035 Essling, M. Ask the AWRI: Using composted grape marc in the vineyard. Aust. N.Z. Grapegrower Winemaker (656): 48-49; 2018. 2036 Cowey, G. Ask the AWRI: Winemaking with high pH, high TA and high potassium fruit. Aust. N.Z. Grapegrower Winemaker (657): 80-81; 2018. 2037 Wilkes, E. Practical measurement of total SO2 in wine. Wine Vitic. J. 33 (4): 32-34; 2018. 2038 Coulter, A., Cowey, G., Petrie, P., Essling, M., Holdstock, M., Simos, C., Johnson, D. Vintage 2018 – observations from the AWRI helpdesk. Wine Vitic. J. 33 (4): 39-41; 2018. 2039 Pearson, W., Schmidtke, L., Francis, L., Blackman, J. Provenance, preference and Pivot: exploring premium Shiraz with international sommeliers and Australian winemakers using a new rapid sensory method. Wine Vitic. J. 33 (4): 35-38; 2018. 2040 Dry, P. Pinot Blanc. Wine Vitic. J. 33 (4): p. 65; 2018. 2041 Varela, C., Schmidt, S.A., Borneman, A.R., Pang, C.N.I., Kromerx, J.O., Khan, A., Song, X.M., Hodson, M.P., Solomon, M., Mayr, C.M., Hines, W., Pretorius, I.S., Baker, M.S., Roessner, U., Mercurio, M., Henschke, P.A., Wilkins, M.R., Chambers, P.J. Systems-based approaches enable identification of gene targets which improve the flavour profile of low-ethanol wine yeast strains. Metabolic Eng. 49: 178-191; 2018. 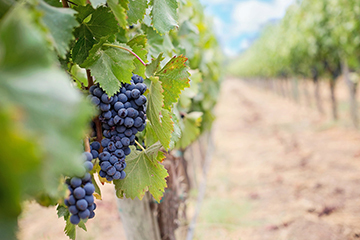 The AWRI acknowledges support from Australia’s grapegrowers and winemakers through their investment body, Wine Australia, with matching funds from the Australian Government. The AWRI is a member of the Wine Innovation Cluster in Adelaide, South Australia.